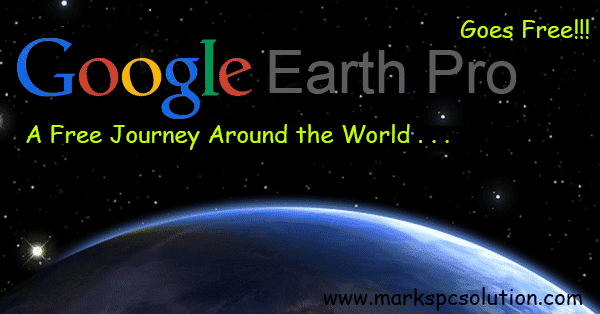 Google Earth Pro Goes Free!!! Can you imagine? An application which was once worth of almost US$ 400 is now absolutely free! Recently Google has made the Google Earth Pro license open for all. Earlier the users could use the Google Earth without license. But they had to pay to upgrade to the pro version. Now, you can apply for a free license for the pro version! Only a few days ago, the Earth Pro users had to pay $399 dollar per year as subscription charge. But Google has made the license free for all from January 20, 2015. Not many people used to purchase the key for pro version. And the features of earth pro are not necessary for all. But certainly the pro version will be more helpful for the users. Get the Earth Pro Now . . .
Visit Google Earth Pro Download Page. Choose latest version 7.1 and hit on the button Agree and Download. It's about 25 MB in size. After completing the download, install it normally. How to Get the Free License for Pro Version? Fill out the form properly (All fields are required). Hit on the Sign me up button. * Wait 24 hours in case of delay. Existing license holders don't need to do anything. Their licenses have already been extended. Fore more information, please visit Google Earth Pro . . . Tight Policy for Adult Contents on Blogger! Download Embedded Flash Videos Online!